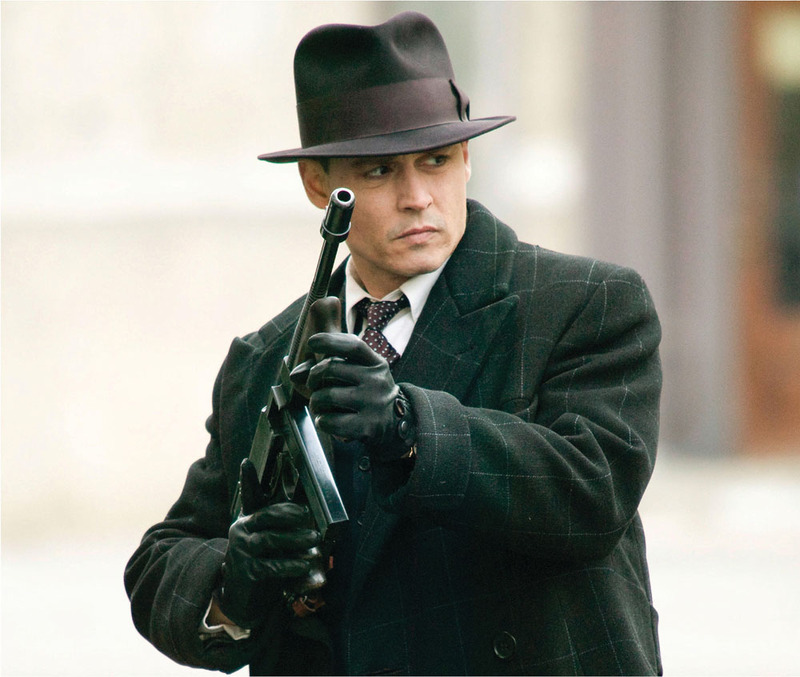 This summer, while audiences root for bad guy John Dillinger, famed Chicago bank robber, as he lives larger than life in Michael Mann’s latest blockbuster Public Enemies, I’ll be ogling his hats. 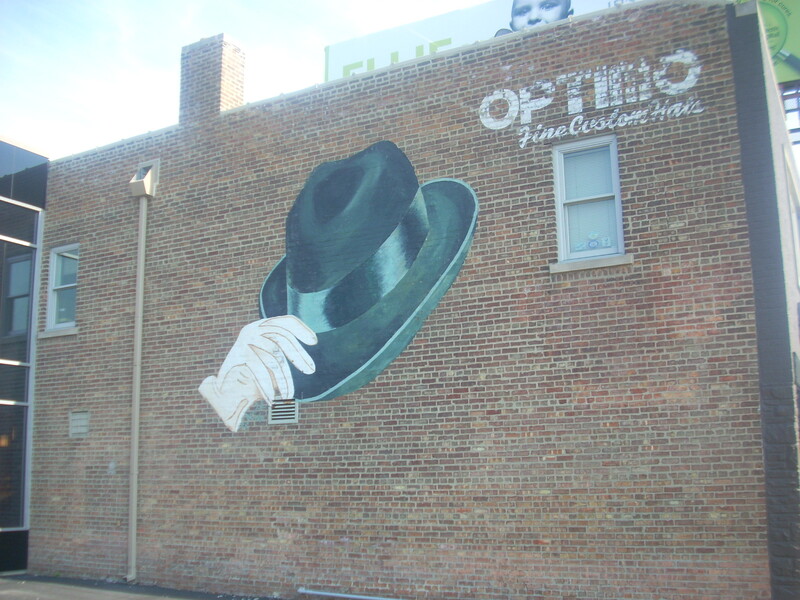 When Graham Thompson of Chicago’s Optimo Hats was approached by costumer Colleen Atwood to provide headwear for the films’ leads, Mr. Thompson came armed with books filled with period photos of men sporting high-crowned, short-brimmed fedoras. Christian Bale plays FBI manhunter Melvin Purvis. 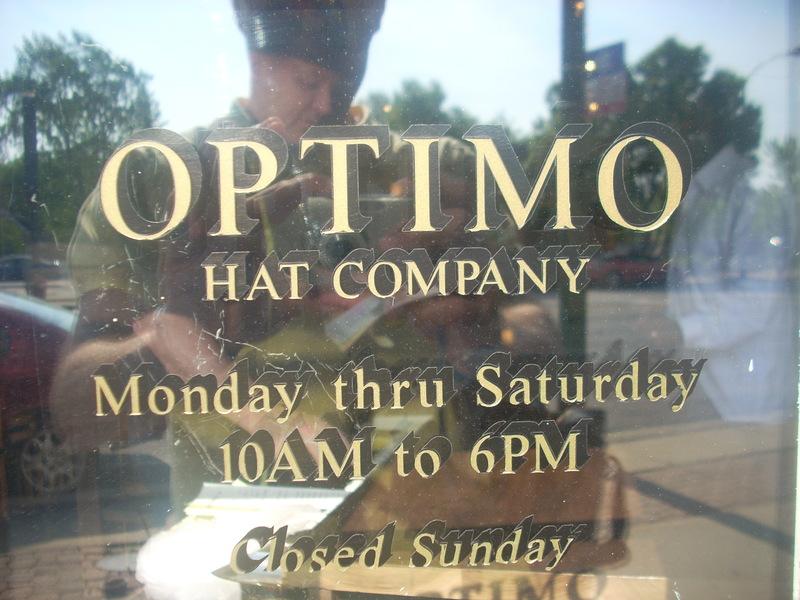 Put an Optimo hat in your hands and the difference in quality is obvious. Thompson, 37, fell in love with hats in high school. 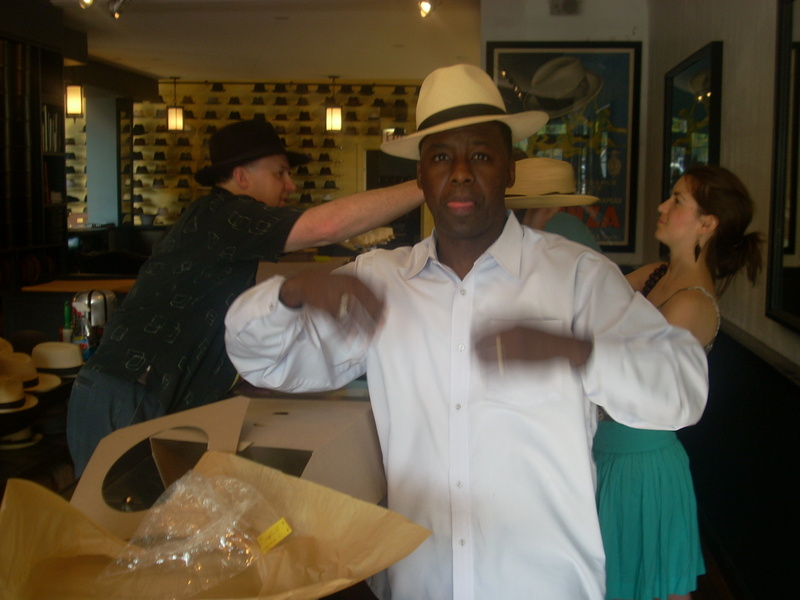 While studying Japanese at Chaminade University-Honolulu, he grew an appreciation for the Panama Hat. 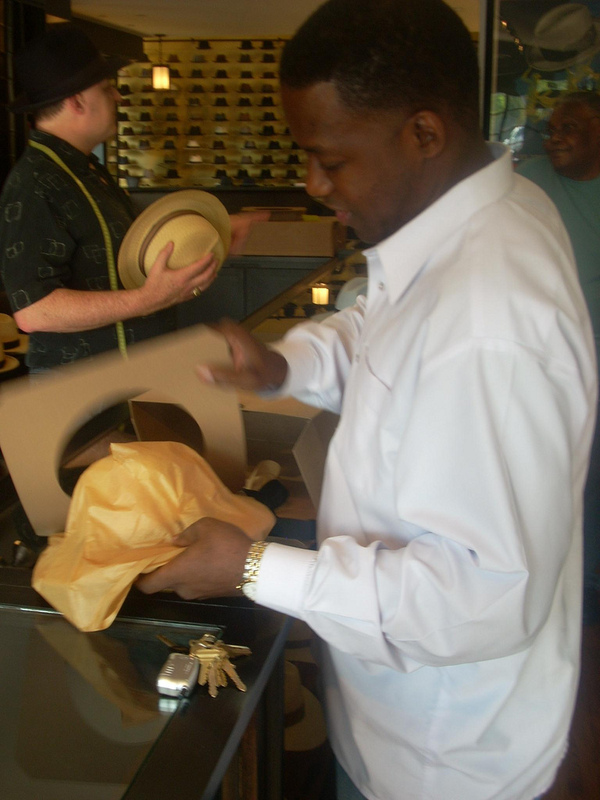 Depending on the quality of wheat fiber, the strength and size of the weave, a well-made Panama can go for thousands of dollars. 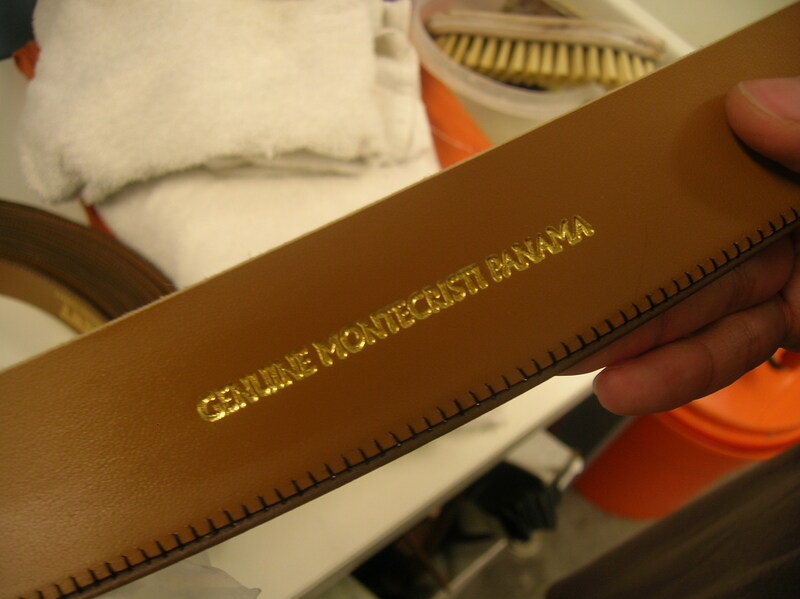 Straw Monte Christis as they arrive from Ecuador. 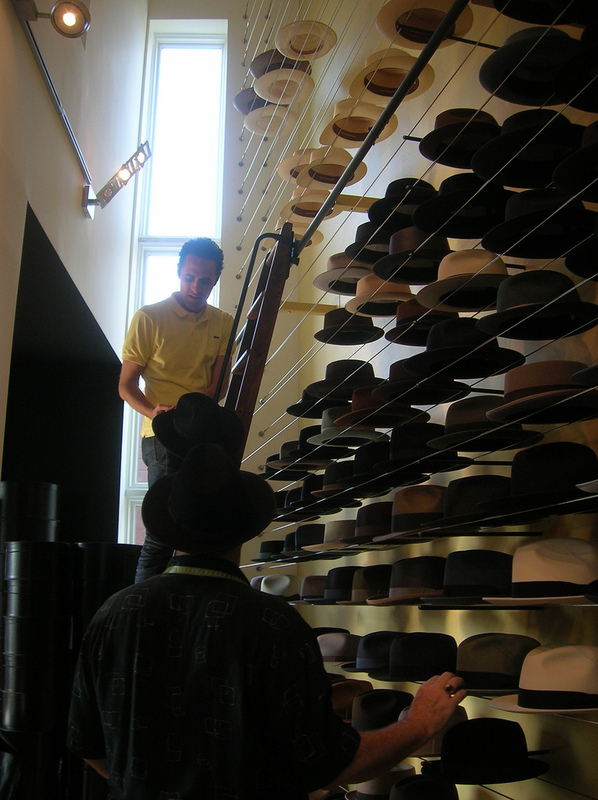 A father and son arrive for a fitting. Not one to let an opportunity pass, he bought Tyus’ machines and offered to continue to learn from him for as long as he was willing to teach. And that they do. Thompson bought a two flat on the southwestern edge of the city in the Beverly neighborhood. Living above the shop for a number of years, he’d make hats all day, only traipsing upstairs to sleep and eat. 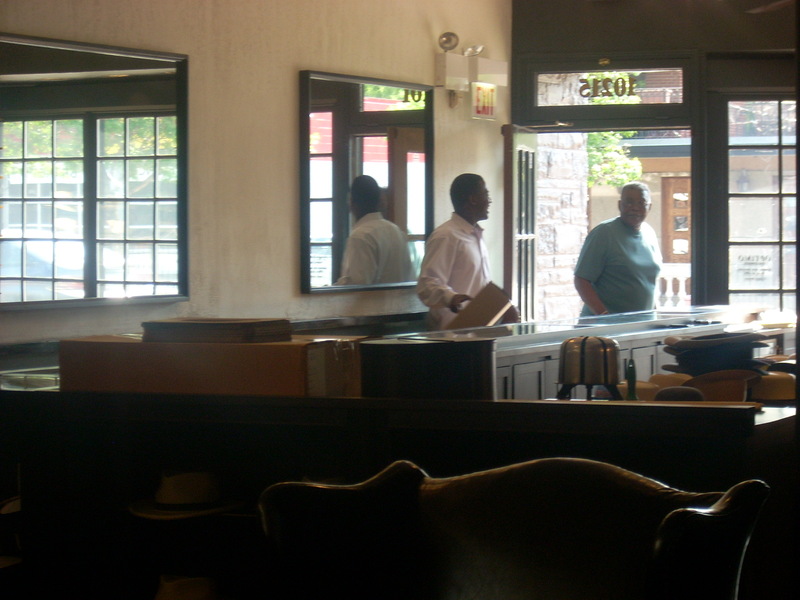 Eventually moving out, Thompson’s now finishing a major expansion of the shop. The business is growing, yet he’s loath to allow it to outgrow their space. “We don’t want to over-market,” and rightly so. 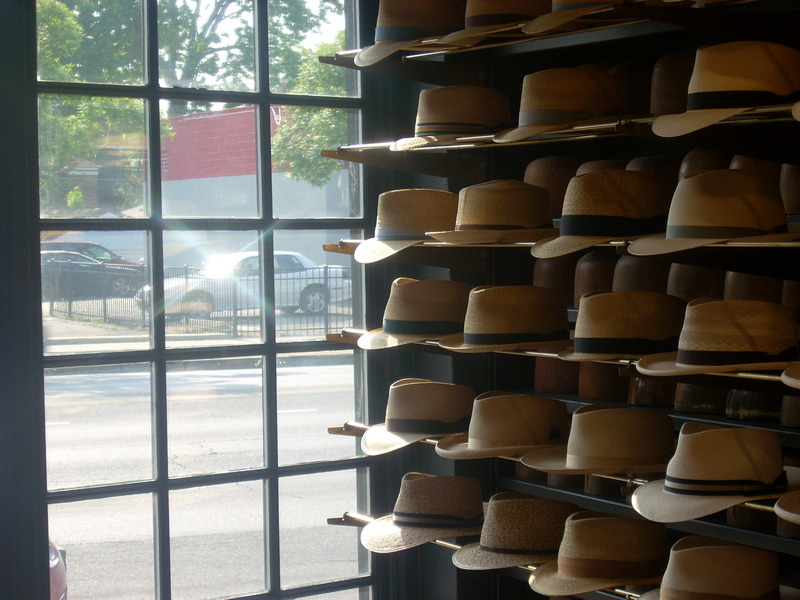 Each hat is made by hand, a labor-intensive process, and they make no compromise for quality. 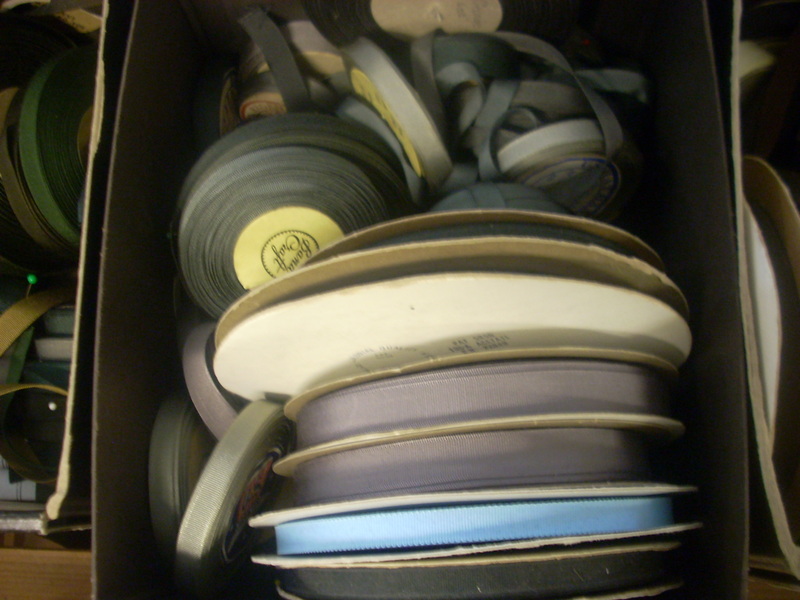 A small collection of grosgrain ribbon ready for hatbands. 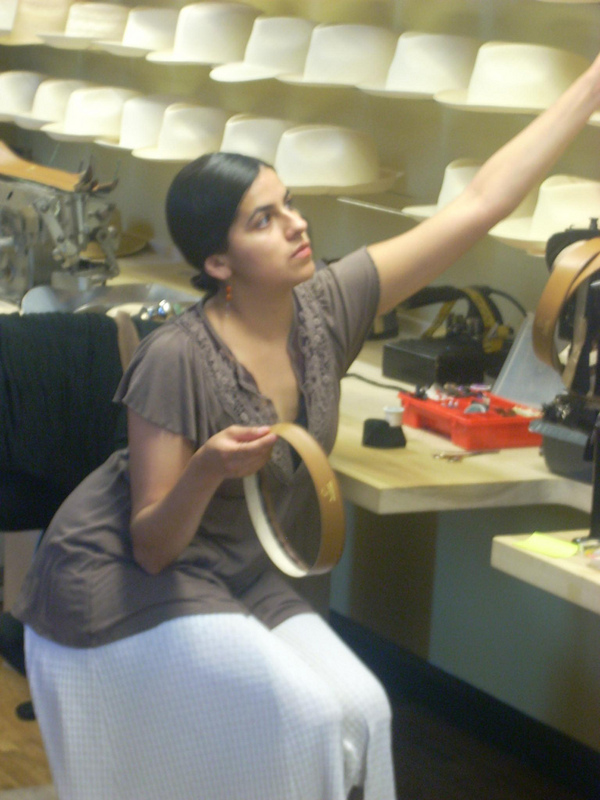 Seamstress Lucia Tovar attaches the sweatband to a Monte Christi. 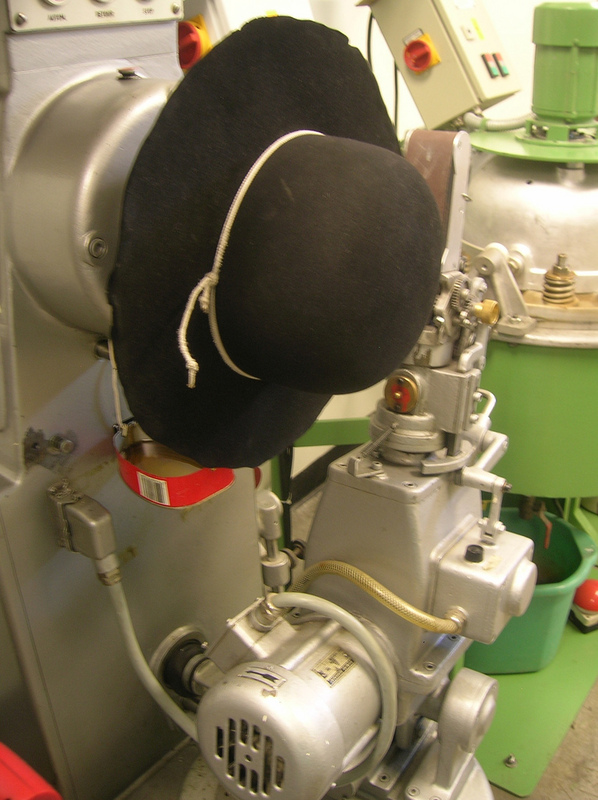 This machine sands the brim’s edge as it spins the hat. 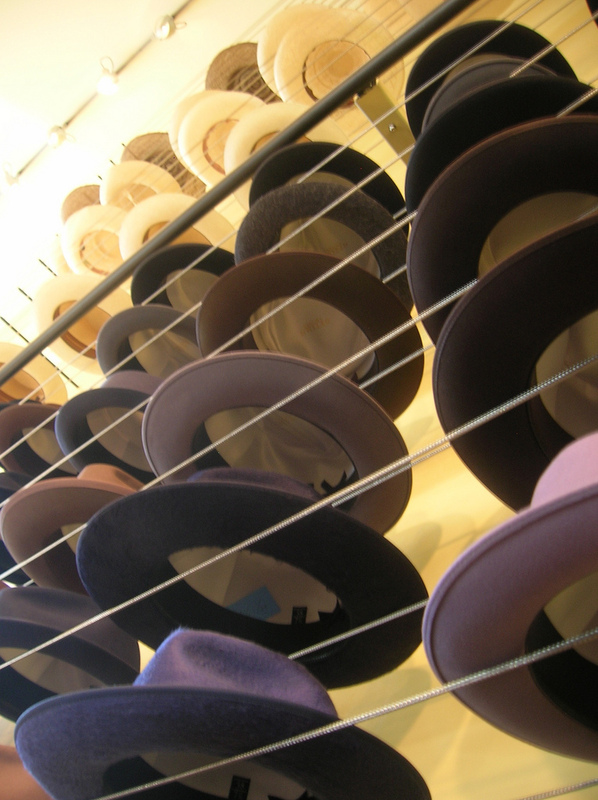 As practice, Thompson would make hats using simply a stick, a rope, and a steam pot. He explains that this helped to learn the properties of felt. But he’s quick to note that a machine which has perfectly ground the hat with pressure at all the same points is always better than a hand iron that has distributed the heat unevenly. 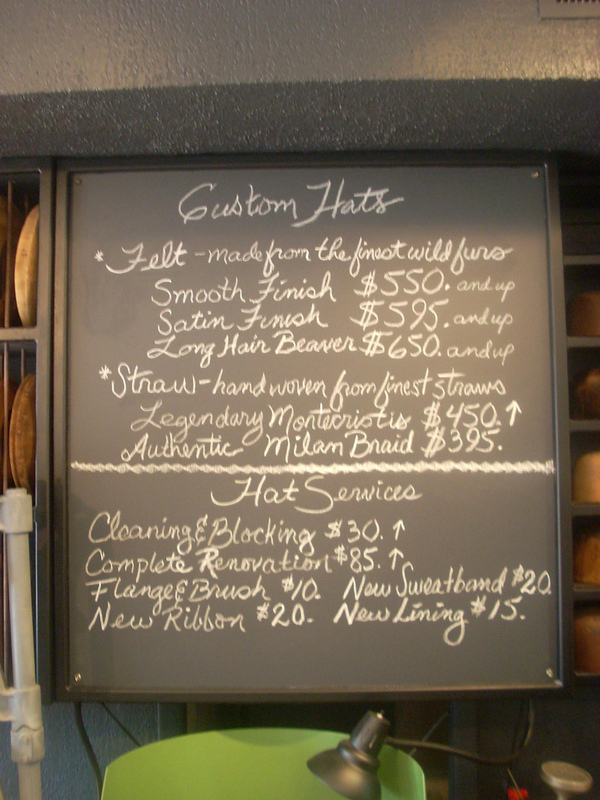 “It’s handmade not homemade,” a catchphrase if ever there was one. Thompson travels to Monte Cristi, Ecuador three times a year to buy their Panamas, all of which are made with European straw. 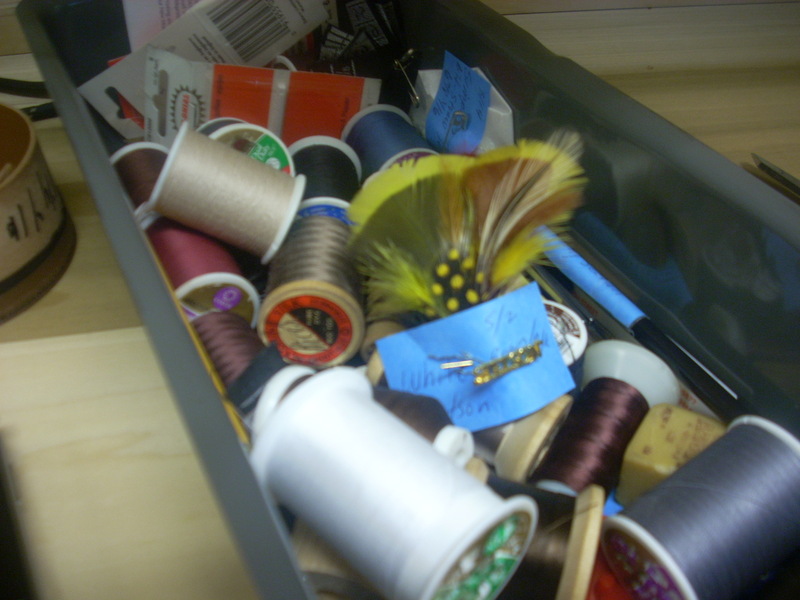 Along with the felts, most of the machines, often acquired when factories close, are European. 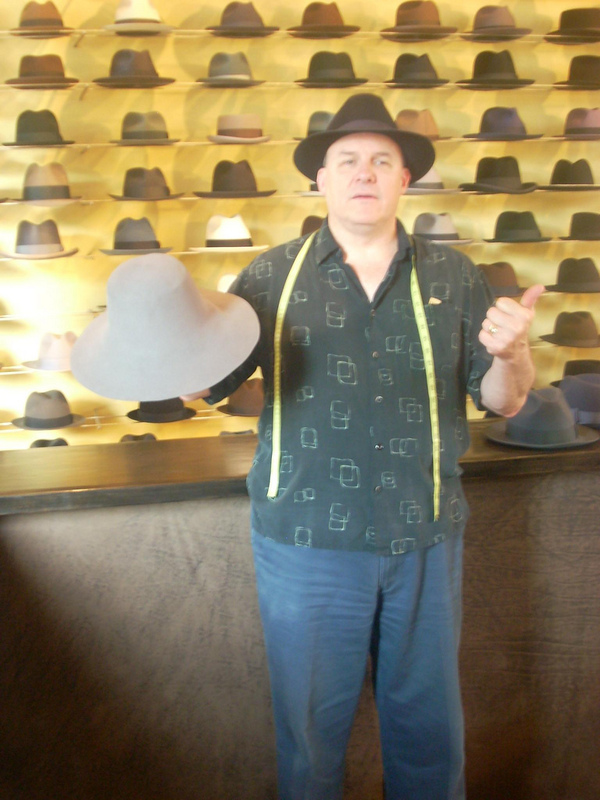 Kevin Fitzpatrick, weekend shopkeep, shows off a new felt. It’s a cool color. In certain lights it looks black in others dark brown. 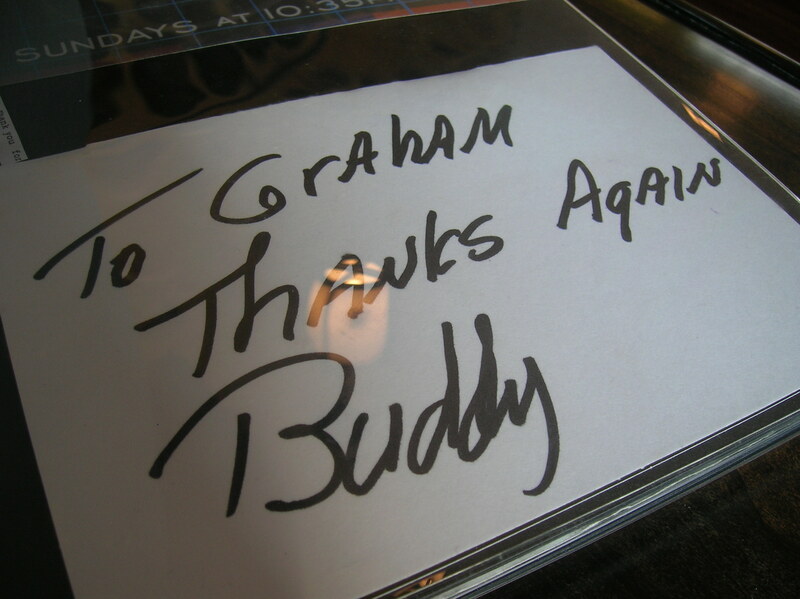 Not just any Buddy, that’s the signature of regular customer, blues legend, Buddy Guy. 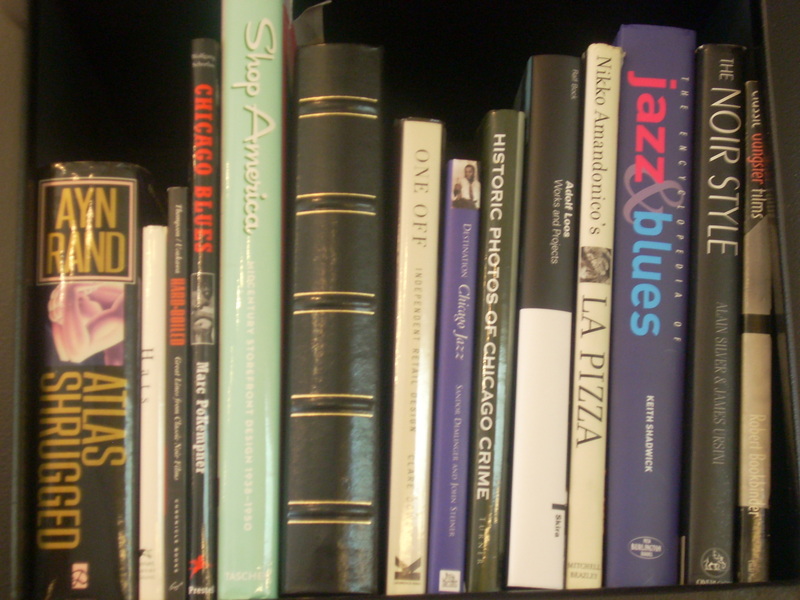 Jazz Masters, Blue Smiths, and Public Enemy Number One. All in a day’s work. 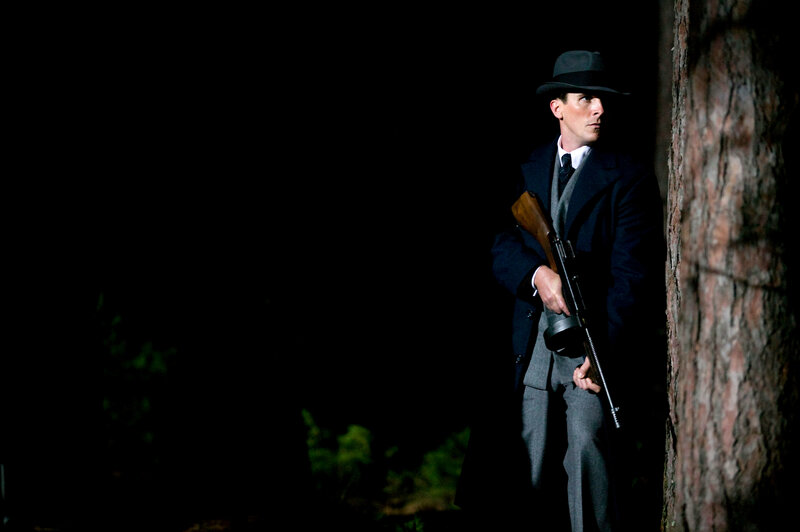 For film of Graham in action, check out The Chicago Sun-Times. Additional photos provided by Universal Pictures and EKH. 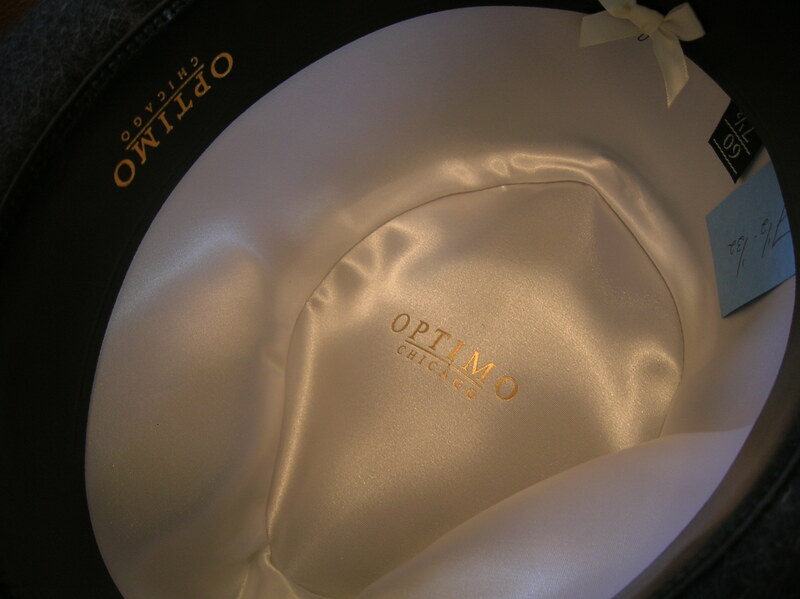 For more of my visit to Optimo Hats, see my Flickr account. 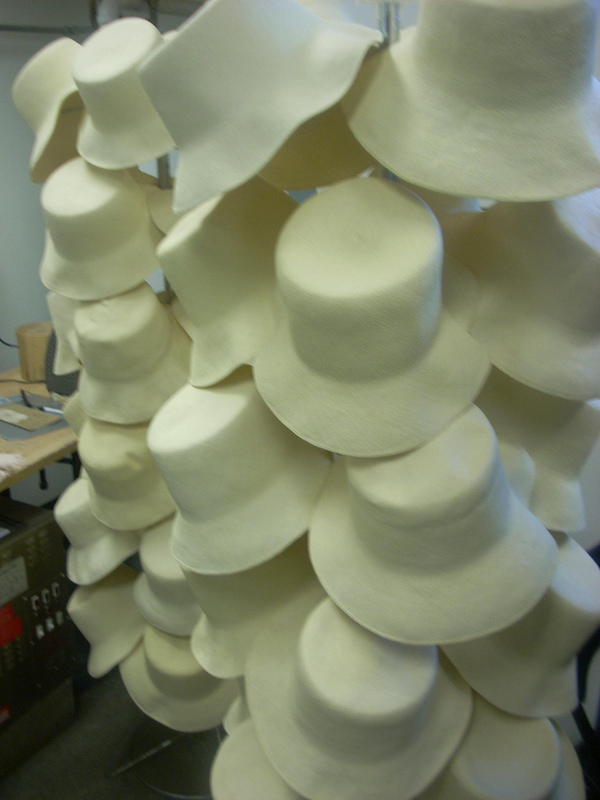 A fitting place for proper gangster hats. Putting it on the list of places to visit in the windy city. A good read, thanks for posting. Man, I’m only gonna be in town for a few days, hopefully you don’t throw up any more Chicago gems…I’ll have to extend the trip! I’m now trying to find an excuse to get to Chicago. Thanks, no really, thanks. Once met Graham while looking at renting the apartment above, real nice guy. If you go, grab a couple pints up the street at Keegans. 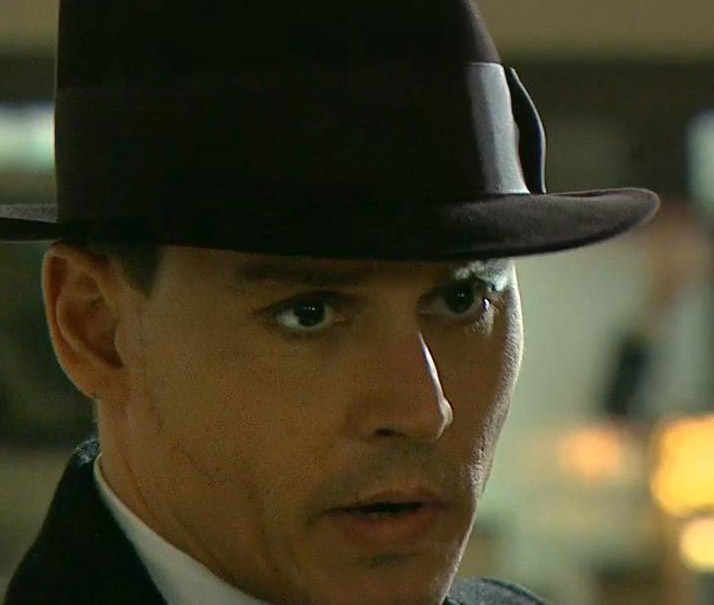 The hats might have been the best part of this movie. Very disappointed. Movie TOTALLY sucked. I walked out. Well plaid sir…informative interview and photographs to suit. 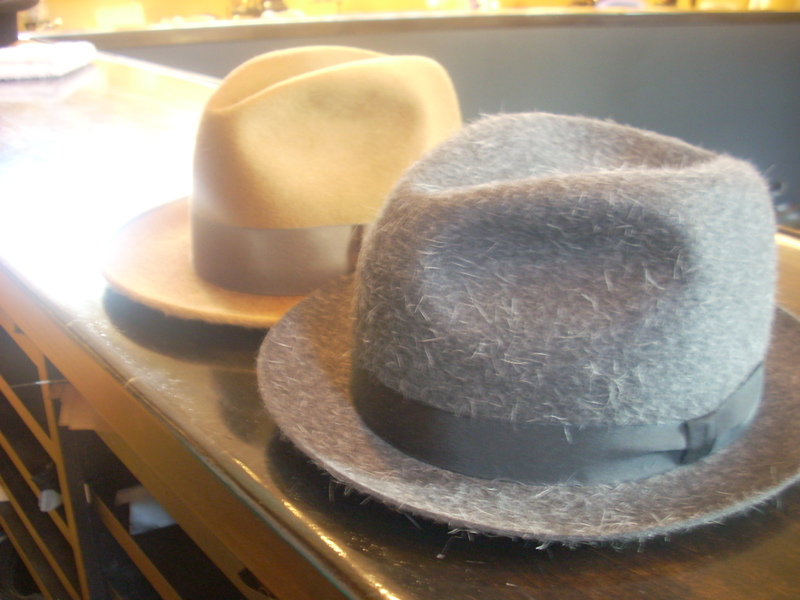 yeah movie was a bummer…funny thing is i went and saw it just for the hats!